To address the need gap for trained AI professionals in the industry, Faculty of NIT Warangal, Edureka experts, industry veterans, a large pool of SMEs and learners have collaborated to create a PG Program that seeks to develop the next cadre of high skilled professionals and experts in the field of AI & ML.The partnership will help today's IT professionals take charge of their future and become leaders in the Artificial Intelligence (AI) Machine Learning (ML) space. 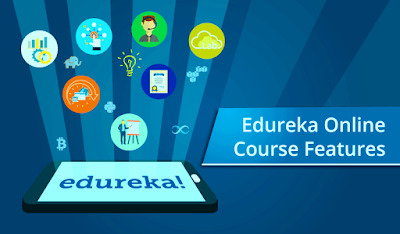 As an expert in online learning, Edureka will ensure that the Program learners get the best possible learning experience. NITW is one of India’s leading technical institutions and has also been recognized as an Institute of National Importance by the Government of India. To be eligible for the course, candidates will have to clear a thorough online application process and levels of interview rounds. This PGP is a rigorous 9-month program with over 450 hours of intensive learning designed to make one not only ready to face the challenges of the industry but also attain excellence. Individuals will be mentored by NITW professors and on course completion, the individual will receive a PGP certificate and will be an Alumnus of the E&ICT Academy, NITW. Whether you’re a fresher or a professional, this program is designed to prepare participants with the skills that they need to rise to the top of their career in AI & ML. Along with lifetime access to the course, this program promises 100% placement assistance for all learners.